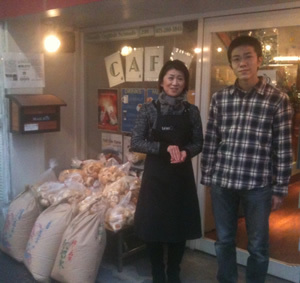 Today was our weekly trip taking aid of foodstocks to the Kamagaseki district in Nishinari Ku of Osaka. With its aptly named Ginza street (named after the elite district of Tokyo), it has been the source and bust of dreams for years in Western Japan. It is also often a shock for new middle class Japanese volunteers to see a part of their community that is often ignored or only seen in passing from the train tracks as the train labors by. 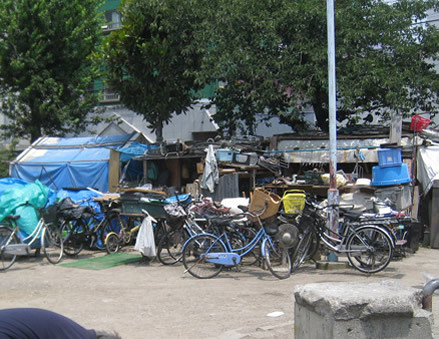 Kamagaseki is the home to both the largest population of day laborers, and conversely the largest population of homeless and highest concentration of homeless in Japan. 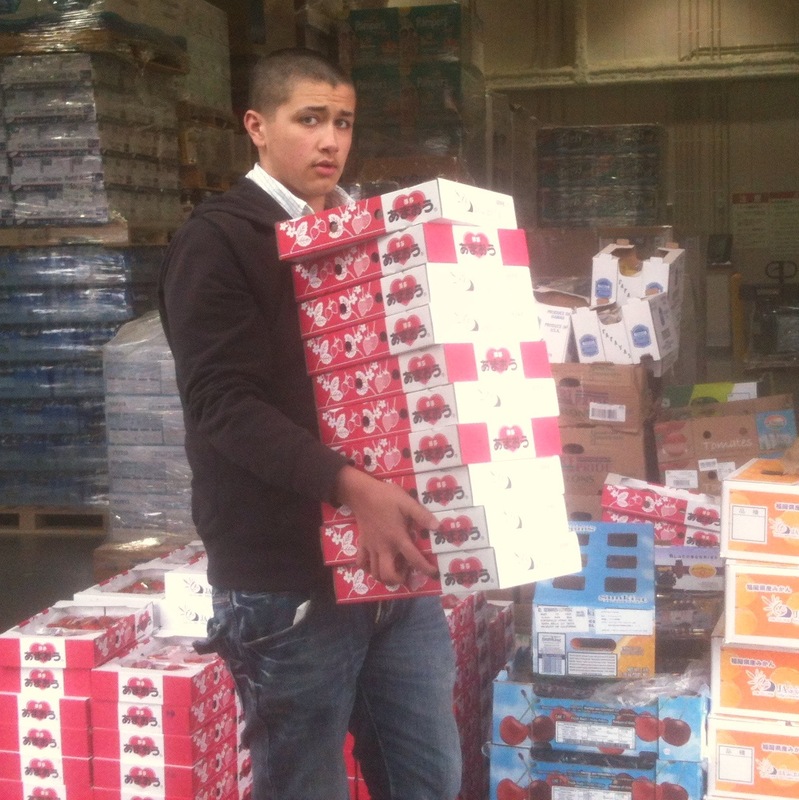 That was the question from our new driver at the food bank in Kansai this week. He was amazed to find that there are so many orphanages, that it takes 4 days a week for our foodbank delivery van to stop by just the ones in Kyoto, Takatsuki, and Ibaraki. Tennoji station is the largest hub station in south Osaka and home to one of the largest homeless populations in the nation of Japan. It is also the haunt of a man that we call The Batman that helps provide for the local residents with no roof to call their own. We call him The Batman becuase he refuses to reveal his identity as he has a normal 9 to 5 job and fears that if his employer knew of his night time activities he could very well fall out of favor with his superiors. 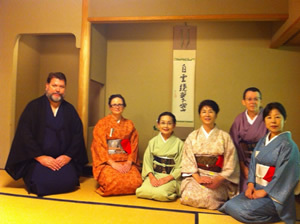 These nice folks to the left are from Icchukai (which roughly means "we are all one ) a group in Kyoto that practices Japanese Tea Ceremony or Sado, the way of tea. They come from an amazing variety of backgrounds but they all share a love of the inspiration that comes from practicing their craft and in that they were inspired to use their last chakai gathering as a venue to collect donations to support survivors from the devastating tsunami in n.e. Japan in March. We have had a lot of news regarding the tragedy in N.E. Japan so we wanted to let everyone know tha in all of our zeal to help the survivors, we have not forgetten the underprivileged here in Kansai and the other places about the world that Kozmoz provides, support, relief, and aid to the less fortunate. In all the tragedy in Tohoku and the recent flooding in the US, we hope that none of us forgets that being hungry feels just as hopeless and demoralizing wherever you are. The Mainichi news here in Japan reported that the number of people on welfare now in Japan is the highest it has been since the dark days of devastation and ruin after the pacific war. Komzoz Japan is now accepting applications for families wishing to relocate to Kansai and Chugoku regions in order to minimize exposer to radioactive nuclides for their children. Though Komzoz continutes to provide support and foodstocks to the areas devastated by the March 11th tsunami and earthquake, we believe that the arbitrary 20 km exclusion zone leaves many children and families at risk and it would be safer for those living closest to the area, whether in shelters, temporary housing, or remaining residences to relocate to areas with less radioactive contamination. A map that was released by the Japanese govt. shows levels as high as 1 million becquerels consistently up to 60 km or more from the stricken plants. The plants have not been brought under control, will not be for an indeterminate amount ot time and with the levels being cumulative, the risk will only increase over time for the survivors in these areas. 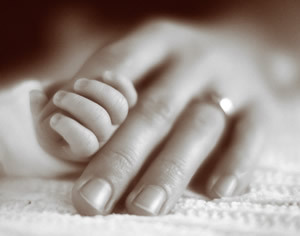 We can maximize healing and aid by assisting relocation to those at risk. The situation in Tohoku is bitter for many of the residents and nobody can share thier pain, disappointments and disenfranchisments as they themselves have in this video. We as people, Japan and the world community can do much better than we have. For now, Kozmoz continutes to do as much as possible. The next truck loaded with food destined for residents of temporary housing in Fukushima shut out from aid leaves this Sunday evening. I will report that today, an official from the Minami Soma city hall stated unequivocally that no more official letters of request for aid will be issued which means that we will no longer be able to receive a pass granting us relief from tolls on the freeways. This will add hundreds of dollars of costs for each load of much needed food. When asked why, the official responded that they need to people there to buy locally to restore the economy…. Being as vast amounts of farmlands in Tohoku are no longer safe to raise produce, feed and livestock because of contamination from airborne radiactive isotopes…. not to mention the contamination of sea foods…..and the fact that THOUSANDS of factories and stores were washed away in an instant stealing away the lively hood of the residents of those devastated communities has created a situation where though we may want those residents to pull themselves up by their bootstraps, it is simply unrealistic. 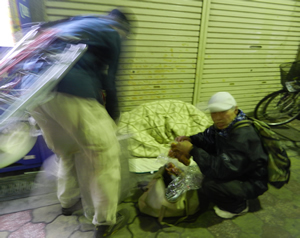 The governemnt, Tokyo Power Co. and all of us need to be the miracle that these people desperately need. Perhaps you could lend a hand to bring healing in Tohoku and the other places that Kozmoz is investing in!